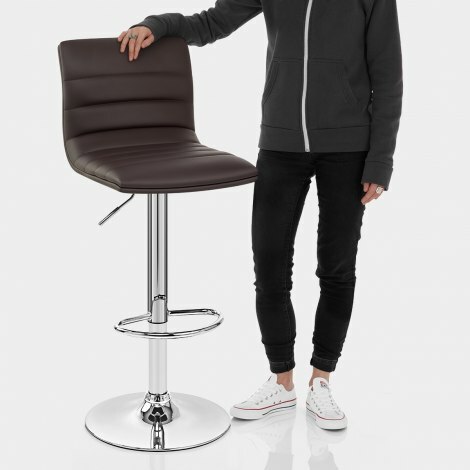 The Linear Bar Stool Brown is a stool which has definite presence, meaning it is perfect in any kitchen or breakfast bar where you want to make a statement. The seat is well padded and covered in brown faux leather, stitched into segments that enhance the look and give added detail for more visual impact. 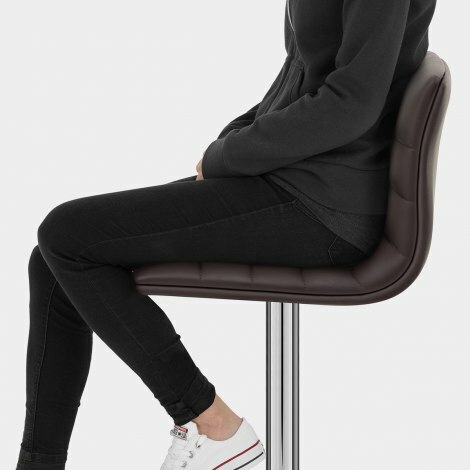 The seat is superbly comfortable and supportive, thanks to the backrest and also the chrome plated footrest found on the stem. The stem itself is chrome plated, as is the round base, beneath which you can find a rubber ring designed to protect your floor. Variable height adjustment and 360 degree rotation come courtesy of a gas lift mechanism held in the stem, giving the Linear great usability that means you wont be left at all disappointed. "Really pleased with the quality of the product"
A quality product very easily constructed in minutes. I was amazed that the items i ordered arrived at my doorstep the following day. The items were as specified on the web page. Delivery, support and the quality of the goods deserve five star rating. I ordered 4 of the linear Bar Stools one afternoon and received them less than 24hrs later. I am very happy with the quality and value of this product. Very pleased with the stools, they were well packaged and easy to put together. They are also very comfortable. Delighted with the brown linear bar stools. 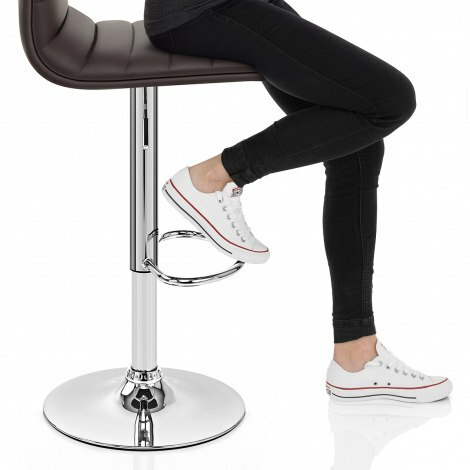 Atlantic shopping have the best selection of quality bar stools I have found. Customer service and delivery were great with absolutely no hitches. Bar stools easy to put together. They are comfortable and look great - brilliant.